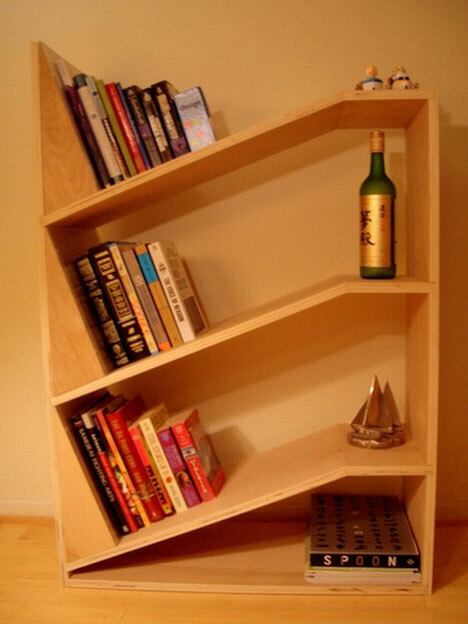 Lacking some library space in your crowded house or apartment? 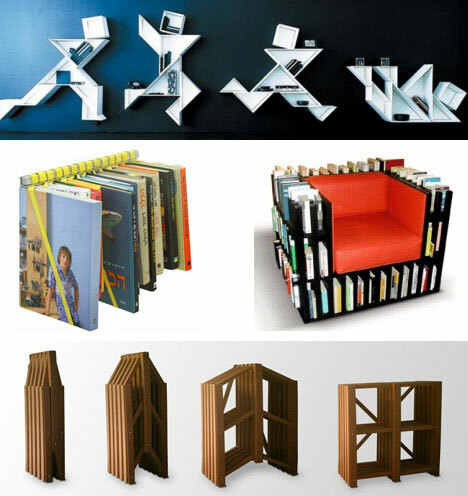 Our original 20 distinctive ways and places to house your books featured a number of ecological, flat pack, transformable and portable furniture solutions. This follow-up furniture selection has everything from cozy chairs and strange figures to suspended hangers and adjustable modules for you to fit your favorite books into. Whether or not you are already settled on the perfect way to use your living space, we present those designs now for your leisurely perusal as both functional and entertaining pieces of unique urban furniture. The Bibliochaise:This “book chair” simply integrates a series of bookshelves around a place to sit, making it perhaps the perfect reading chair.The shelves come in a variety of colors, as do the cushions.You even have the option of upgrading to leather cushions if you feel a splurge coming on. Alog Modular Shelving System:Looking to make a visual statement with your bookshelves?You may have found what you’re looking for with this system, which allows you to reconfigure the shelving modules into hundreds of different configurations.This bookshelf is proof that functionality, attractiveness and the possibility of customization are far from mutually exclusive. 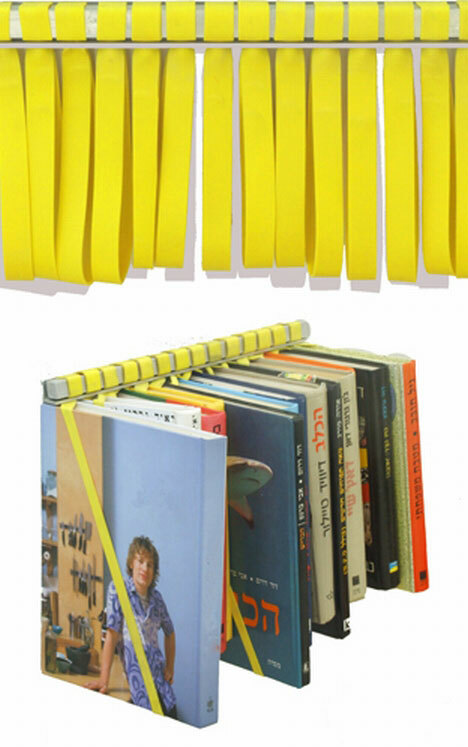 Suspension Shelf:This extremely novel shelf uses a row of straps from which your books hang until you’re ready to pick them.Apart from being extremely interesting to look at, the aligned tops of the books can be used as a storage space of their own.When not in use, the suspension shelf takes up almost no room at all – a practical feature for a cramped urban domicile. 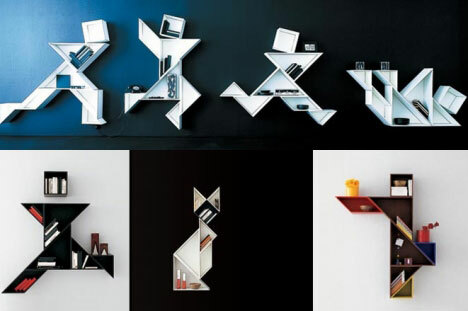 Geometric Modular Shelving:Somewhere near the zenith of customizable shelving stands these wall-mounted geometric shapes.As you will decide for yourself the nature of their arrangement on your wall, the possibilities are limitless.If you love to express yourself, these bookshelves could be an excellent way for you to personalize the place you call home. Rolling Shelves:This extremely useful design allows you to roll away portions of a shelf to accommodate any objects too tall to otherwise fit between shelves.Available in the finish of your choice, these shelves could be made to match any decor and would certainly provide a striking way to store your books along with the occasional vase or unruly bottle. 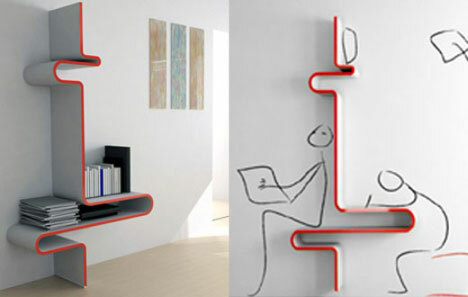 Multi-functional shelf:With one simple curved line, this unusual design can outfit your abode with your choice of shelving, a desk or a stool to perch upon — depending on your mood or your greatest convenience. 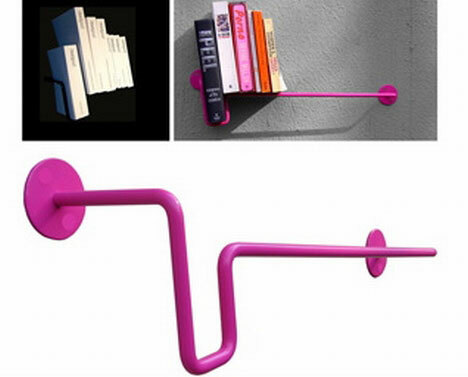 UBend:Simpler still than the multi-functional shelf above, the UBend is a simple, single bar.If you didn’t know better, you might mistake it for a towel bar, but the bend in the bar provides a slot for a book to rest, and this book in turn acts as a book end for the rest of your books to lean against.You don’t have to order it in the pictured Punky Brewster color, but there’s something oddly comforting in knowing that you can. 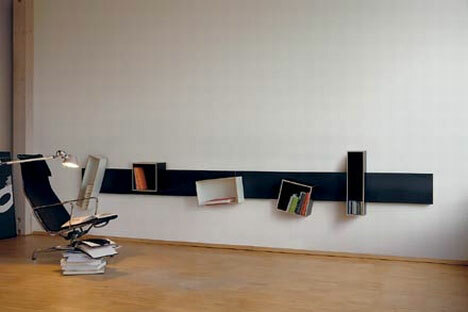 Magnetic Modular Shelving:Truly an eye-catcher, this magnetic shelving is composed of strips of magnetized sheet steel affixed to the wall along with magnetic-backed boxes which can be arranged on the steel in any manner you deem appropriate.Since you can mount the steel — which serves a track for the functional boxes — in any orientation you choose, and you can mount as many strips of steel as you need, the design possibilities are without end. 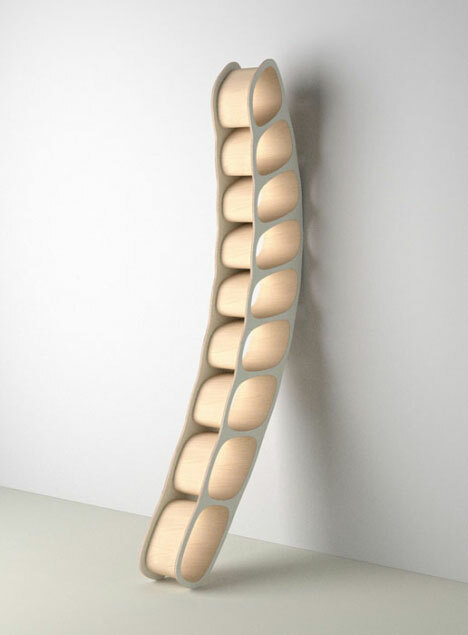 Cell Shelf:One of the more unique pieces of any kind of furniture you’ll see, lighting will be key if you choose to display this unusual shelving unit.Though it may border on the impractical, these shelves are gorgeous enough that you might not even want to use them to store books. 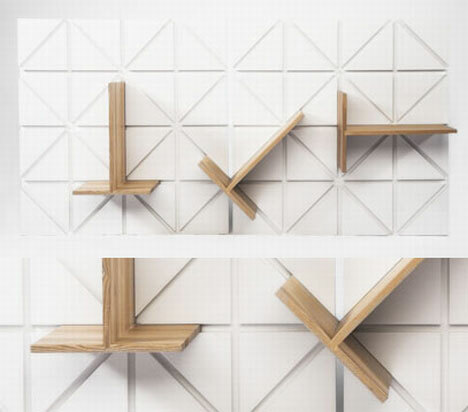 Angled Bookshelf:Leave it to a former aeronautical engineer to come up with this chic and handy twist on a common bookshelf.The slanted shelves render bookends obsolete while the bare, crisp lines ensure that functionality need not come at the expense of form. Stacks and “The City”:These versatile vertical frames are ready to be manipulated to suit your needs.You can lean them vertically, stack them horizontally; by attaching two together, you can even create a free-standing skyline of unparalleled bookshelf majesty.While the utility of these shelves is somewhat in question, their compelling visual nature certainly is not. 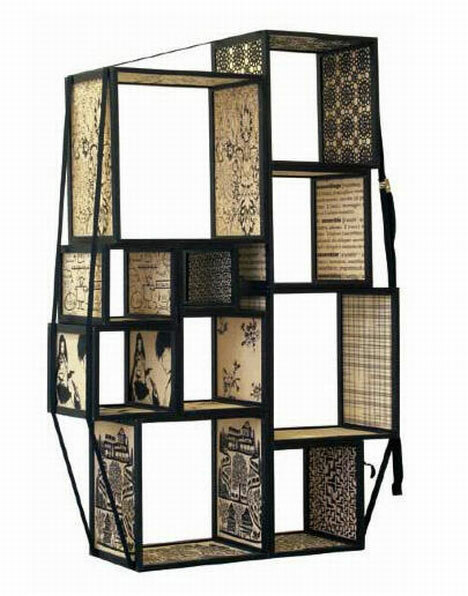 Assembled Boxes:Fastened together with two straps, these boxes are each covered with a unique print, creating an interesting, impossible to ignore pastiche effect.Though designs such as these are sure to make the organization of your books something of a confusing chore, the elegance that this shelving unit brings to a room outweighs those considerations. 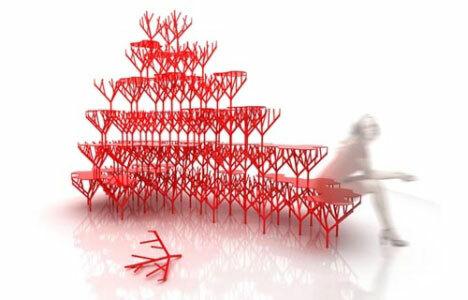 Budak Modular Shelving:Like a pile of wine glasses or a multi-layered forest, this shelving and seating combination can be extensive as you want it to be thanks to its modular nature.Use just a few pieces for a small shelf or a bedside table (or a bench), or combine hundreds of pieces in the form of your choice to house your entire library. 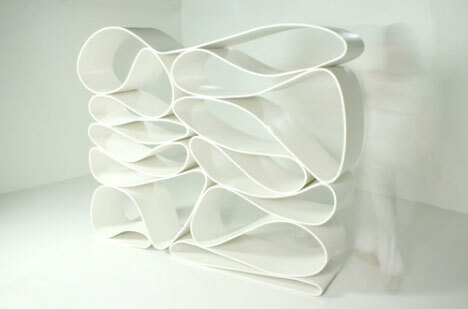 The Neverending Bookcase:Another conceptual design with limited functionality, this tribute to the infinite is nevertheless sure to amaze guests with its graceful curves and — particularly if they are fans of Georg Cantor’s research on the mathematics of infinity — its philosophical implications.It’s likely to look better on its own than it will holding your math texts, though. Collapsible Corrugated Shelving:If you’re looking for something that’s both lightweight and economical, you probably won’t do much better than the PLoP! 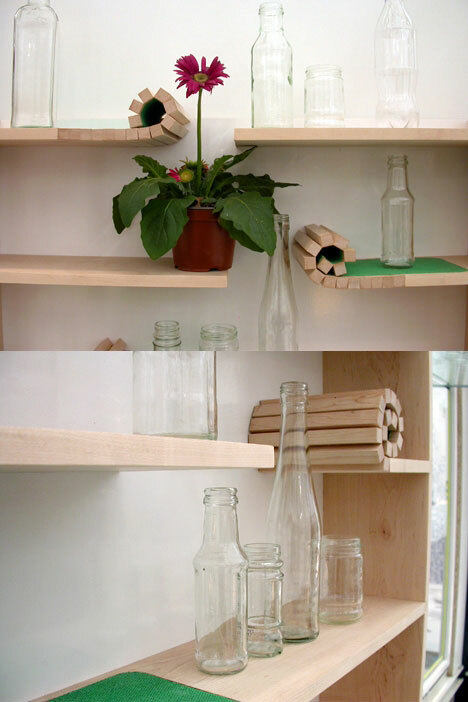 storage and shelving system.Though the standard four section unit is pictured, the PLoP! 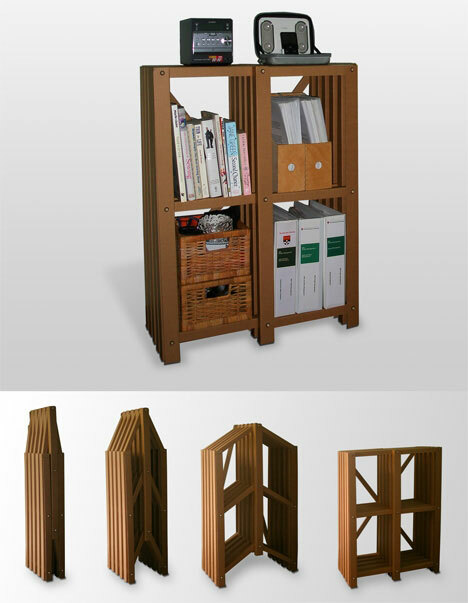 is modular, which means that you can easily extend it up to twice that size without sacrificing the collapsibility and ease-of-transport which — along with extreme cost-rationality and a low overall resource expenditure — make these shelves so accessible and enchanting.